Looking for the next up-and-coming neighborhood in the Bay Area? Look for a new Starbucks coffee shop. Seriously. A new book by two top executives at the real estate website Zillow says that the opening of a Starbucks store is a remarkably accurate predictor of rising home prices in the area. “Starbucks equates with venti-sized home-value appreciation. Moreover, Starbucks seems to be fueling — not following — these higher home values,” according to “Zillow Talk: The New Rules of Real Estate,” by Spencer Rascoff and Stan Humphries. Rascoff is Zillow’s CEO and Humphries is its chief economist. Rascoff and Humphries looked at a database of Starbucks locations and nearby Zillow housing data, comparing home values within a quarter-mile of a Starbucks franchise to homes farther away over a five-year period after the store opened. They found that homes closest to Starbucks appreciated 21 percent over five years, while homes slightly farther away appreciated 17 percent. A similar pattern of rising home prices was also found in neighborhoods with new Dunkin’ Donuts stores, but Rascoff and Humphries say those homes don’t appreciate quite as fast as those near a Starbucks. Homes near Dunkin’ Donuts have appreciated 80 percent since 1997, while homes near Starbucks have appreciated 96 percent. According to the book Starbucks has a team of 20 analytical experts who examine maps and geographic information systems data to assess an area’s traffic patterns and businesses before they decide to move in. Ultimately, whether Starbucks itself raises nearby home prices or its analytics team gets the credit for spotting up-and-coming neighborhoods is beside the point. 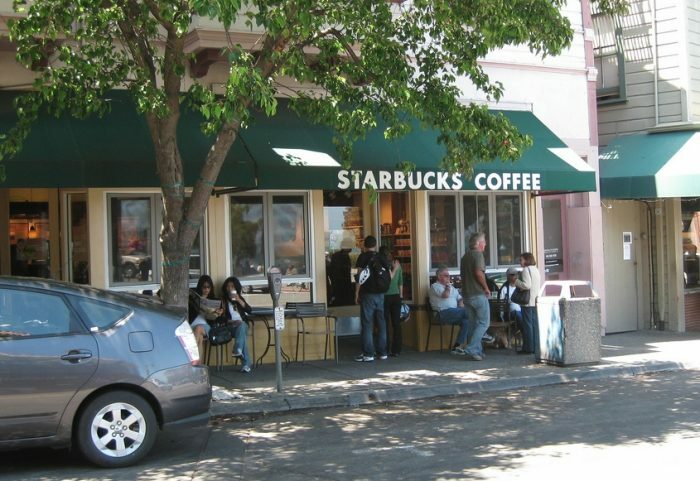 If you’re scouting the Bay Area for neighborhoods likely to gain in value, relax and have a cup of coffee — at a new Starbucks location. Previous PostPrevious To Stage or Not to Stage? Survey Shows a Gap.